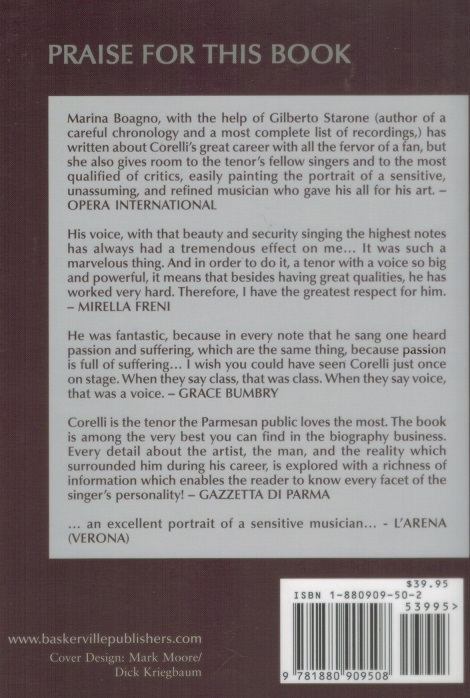 "Franco Corelli had been singing for well over a decade when he made his Met debut in 1961 at the age of 40. The first attraction in any Corelli performance is the voice itself. Solid and evenly produced from bottom to top, with no audible seams between registers. The middle and lower parts of the voice are dark and richly colored. The top is stunningly brilliant, and never thins out or turns hard. It is a once-in-a-generation kind of voice if your generation is lucky, and in the four decades since his retirement in 1976 we have had nothing like it for visceral power. Some critics complained because Corelli would hold high notes well beyond their value in the score. But if we listen to singers from the past whose careers overlapped with the great Italian opera composers, and who often worked with them, we can easily conclude that the composers expected it. (A recording of an aria from Francesco Cilea's ADRIANA LECOUVREUR by tenor Fernando de Lucia, with the composer accompanying at the piano, exposes liberties that go far beyond anything Corelli ever did, and Cilea echoes those 'distortions' at the keyboard.)" "Unrivalled in his time as Caruso was before him, unlike his great predecessor Corelli lived an ascetic life away from the theater, pushing himself relentlessly to gain complete mastery of his voice, again and again reaching new frontiers of technical virtuosity. 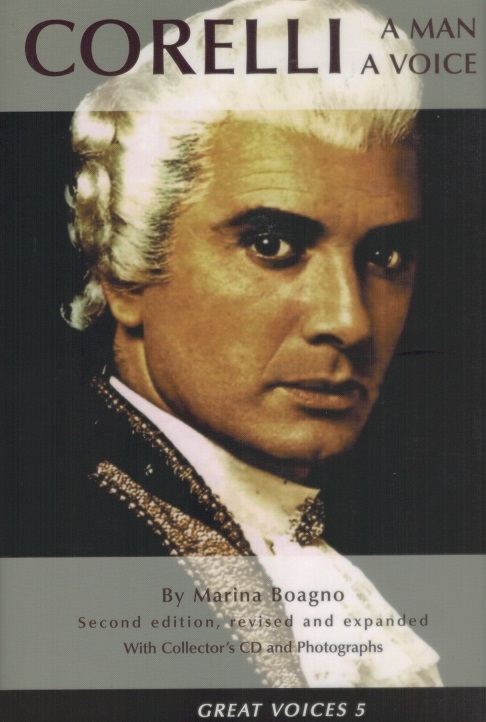 By mid-career he had made an astonishing variety of roles his own: Manrico and Chenier as well as Poliuto and Pollione. For size of voice only Del Monaco could compare to him; for agility and expressive range he had no equal. Everyone expected Corelli to crown his career with Otello, but he shocked fans and critics alike by taking on Rodolfo, Roméo and Werther, becoming the first of this century's big-voiced tenors to achieve refinements in the lyric repertory toward the end of his career when the vocal brawn that everyone wanted and expected of him was still his to give. Ms. Boagno clears up the mysteries and misunderstandings that arose throughout Corelli's career, revealing a lot about the man along the way. For example, regarding his supposed stage fright: he was never afraid of audiences; in fact he needed them to do his best work. His so-called 'fear' was a result of the seriousness of the challenge he had set himself, which was nothing less than to reimpose the standards of an earlier time, when more vocal control was demanded of the professional singer, and to adapt those standards to the more emotionally explosive modern repertory. Tormented by the difficulty of his goals, never content with any good opinion but his own, yet ultimately triumphant in every task he set himself, Corelli's accomplishment can only be called heroic."